Give your jewelry a professional look by using crimp covers. These handy little findings go over your crimp tubes and beads to give the appearance of a small bead so your designs look polished every time. These beauties will hide your crimp tubes, making them look like just another beautiful bead on the strand. They also help prevent snagging when wearing your jewelry. Choose different finishes and sizes to suit your design needs. You'll love completing high-quality jewelry designs with this crimp cover. Crimp covers are great for camouflaging crimp tubes while adding a touch of style to your projects. This one will cover crimps that are up to 2x2mm in size. It will hide your crimp tube and make it look like another bead on the strand, creating a professional finishing touch. It will also prevent snagging in your jewelry designs. This crimp cover is open on one side, allowing you to slip it over your crimp tube. Simply close with chain or flat nose pliers. This crimp tube features a bright silver shine, perfect for pairing with other silver components. For jewelry that looks like a professional design, use this crimp cover. Crimp covers are great for camouflaging crimps in necklaces, bracelets and other designs, and this particular component presents ideas with a cool silver shine. Use it to finish a jewelry design laced with any color scheme since silver complements any shade. This will cover crimps that are up to 3mm in size. 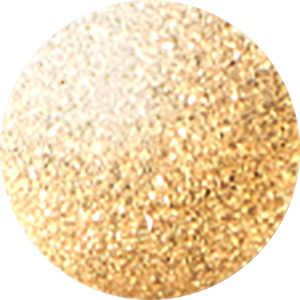 This gold-filled crimp cover will make all of your jewelry projects look professional and polished. It will fit perfectly over a 2mm crimp tube. It will hide your crimp tube and make it look like another bead on the strand, creating a professional finishing touch. It will also prevent snagging in your jewelry designs. Crimp covers are open on one side allowing them to slip over the crimp tube and can be closed over a crimp tube with chain or flat nose pliers. When the item is closed over crimped tubing, it will look like your jewelry piece ends with a 3mm gold-filled bead. Hide crimp tubes with style using this TierraCast 3mm crimp cover. This round crimp cover looks like a little accent bead when placed over a crimp tube. This crimp cover will cover crimps that are up to 2x2mm in size. Your designs will always look professional when you use crimp covers to camouflage your crimps. This crimp cover features a versatile silver shine. Hide crimp tubes with style using this TierraCast 3mm crimp cover. This round crimp cover looks like a little accent bead when placed over a crimp tube. This crimp cover will cover crimps that are up to 2x2mm in size. Your designs will always look professional when you use crimp covers to camouflage your crimps. It features a daring black finish. For a classic antique finish, use this crimp cover for small crimps. The gold color compliments any classic or antique-themed jewelry piece. The crimp cover perfects little imperfections and even looks like a bead when viewed at an angle. You'll love using this crimp when making jewelry, so get yours today. Put a rich finishing touch on your style with this crimp cover. Crimp covers are great for camouflaging crimp tubes while adding a touch of style to your projects. This one will cover crimps that are up to 2x2mm in size. It will hide your crimp tube and make it look like another bead on the strand, creating a professional finishing touch. It will also prevent snagging in your jewelry designs. This crimp cover is open on one side, allowing you to slip it over your crimp tube. Simply close with chain or flat nose pliers. This crimp tube features a brassy gold color, perfect for pairing with other antique brass components. Add a touch of elegance with this sterling silver crimp cover. Perfect for covering small crimps, this cover in a silver tone will blend well with any jewelry piece. Silver is a popular color among jewelers because it compliments nearly every color palette without overpowering the theme. Warm shine will accent your designs when you use this crimp cover. Crimp covers are great for camouflaging crimp tubes while adding a touch of style to your projects. This one will cover crimps that are up to 2x2mm in size. It will hide your crimp tube and make it look like another bead on the strand, creating a professional finishing touch. It will also prevent snagging in your jewelry designs. This crimp cover is open on one side, allowing you to slip it over your crimp tube. Simply close with chain or flat nose pliers. This crimp tube features a corrugated surface for textured appeal and a fiery copper color, perfect for pairing with other copper components. Use it in fall-themed designs as a little pumpkin touch! Add shining accents to your designs while hiding crimp tubes using the 3mm antique copper crimp cover. This round crimp cover looks like a shining accent bead when placed over a crimp tube. These copper crimp covers feature an antique finish to give each bead a classic look. They would complement other copper components fabulously. These crimp covers will cover crimps that are up to 2x2mm in size. Your designs will always have a professional flair when you camouflage your crimps with these crimp covers. Bring an accent of shine to your jewelry designs with this crimp cover. Crimp covers are great for camouflaging crimp tubes while adding a touch of style to your projects. This one will cover crimps that are up to 2x2mm in size. It will hide your crimp tube and make it look like another bead on the strand, creating a professional finishing touch. It will also prevent snagging in your jewelry designs. This crimp cover is open on one side, allowing you to slip it over your crimp tube. Simply close with chain or flat nose pliers. This crimp tube features a golden shine, so you can use it with other gold components. Finish your jewelry designs with a professional touch. Cover your crimp tubes with this sterling silver crimp cover. This crimp cover is intended for use with 3mm crimp tube. It will hide your crimp tube and make it look like another bead on the strand, creating a professional finishing touch. It will also prevent snagging in your jewelry designs. Crimp covers are open on one side allowing them to slip over the crimp tube and can be closed over a crimp tube with chain or flat nose pliers. Keep your jewelry designs looking professional with this crimp cover. Crimp covers are great for camouflaging crimp tubes while adding a touch of style to your projects. This one will cover crimps that are up to 2x2mm in size. It will hide your crimp tube and make it look like another bead on the strand, creating a professional finishing touch. It will also prevent snagging in your jewelry designs. This crimp cover is open on one side, allowing you to slip it over your crimp tube. Simply close with chain or flat nose pliers. This crimp tube features a versatile silver color that will work anywhere, so stock up today. Hide crimp tubes with style using the 3mm copper crimp cover. This round crimp cover looks like a shining little accent bead when placed over a crimp tube. These copper crimp covers feature a fiery polish that would complement other copper components nicely. These crimp covers will cover crimps that are up to 2x2mm in size. Your designs will always look professional when you use these crimp covers to camouflage your crimps. Hide crimp tubes with style using this TierraCast 3mm crimp cover. This round crimp cover looks like a little accent bead when placed over a crimp tube. This crimp cover will cover crimps that are up to 2x2mm in size. Your designs will always look professional when you use crimp covers to camouflage your crimps. This crimp cover features a versatile sterling silver shine full of versatility. This crimp cover will make a wonderful finishing touch for your jewelry designs. Crimp covers are great for camouflaging crimp tubes while adding a touch of style to your projects. This one will cover crimps that are up to 2x2mm in size. It will hide your crimp tube and make it look like another bead on the strand, creating a professional finishing touch. It will also prevent snagging. This crimp cover is open on one side, allowing you to slip it over your crimp tube. Then, you can simply close it with chain or flat nose pliers. This crimp tube features a diamond pattern etched into the surface. You'll love the warm copper shine. Hide crimp tubes with a professional flourish using the 4mm copper crimp cover. This round crimp cover looks like a shining accent bead when placed over a crimp tube. These copper crimp tubes feature a brilliant gleam glowing with fiery tones. They would work well with other copper components. These crimp covers will cover crimps that are up to 3mm in size. It's easy to make every aspect of your jewelry designs stylish with these crimp covers.